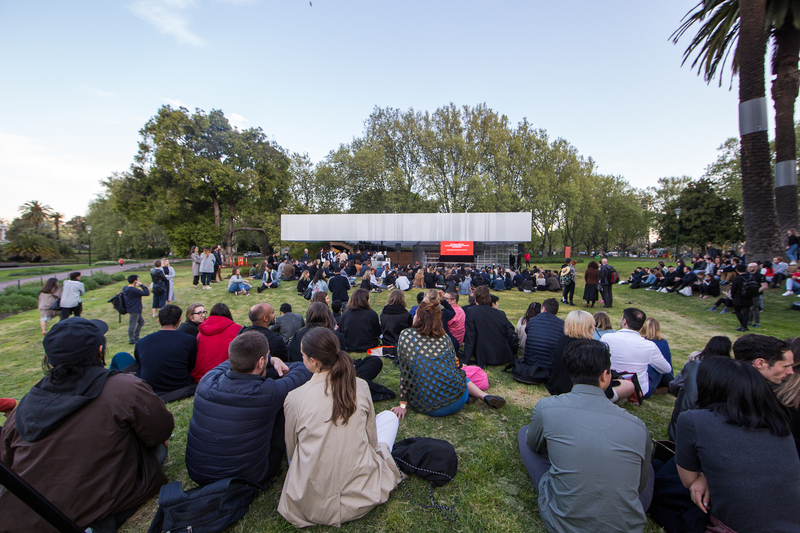 We’re closing off the fourth season of MPavilion with a bang! Join us for a very special live screening in the Queen Victoria Gardens of the film Rem Koolhaas: A kind of architect (2008), filmed by Markus Heidingsfelder and Min Tesch, and produced by Arthouse Films. Rem Koolhaas himself has said “it’s the only film about me I have ever liked”. An engaging portrait of MPavilion 2017’s visionary architect, Rem Koolhaas: A kind of architect features interviews from other architects and friends about Koolhaas, providing a look into his creative genius, his process and his lasting influence on the discipline of architecture. The screening will begin at 8.30pm, but come down from 7.30pm to additionally enjoy a series of short archi-films presented by Nervegna Reed Architecture.